How do you count in German? What are fruits and vegetables called? How do you tell time in German? What do you call family members? How do you plan a trip with your friends? The app combines listening, reading and writing and helps you practice basic vocabulary. It is available for free for iOS and Android. 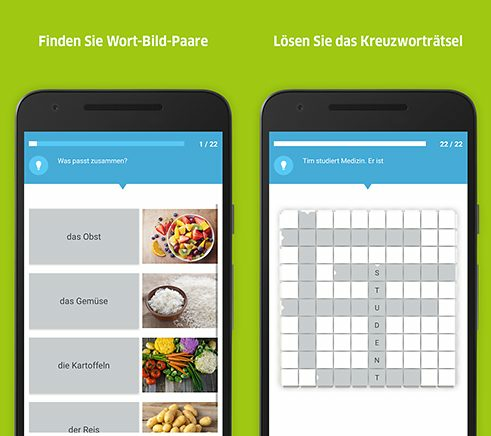 10 chapters guide you through vocabulary and structures on topics of German daily life. 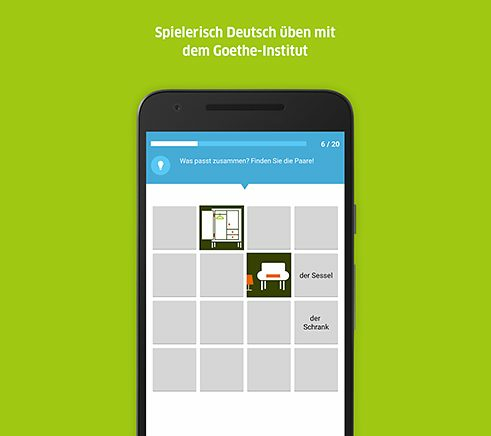 The app takes up familiar topics from course books and topics relevant to the German Exam A1 by the Goethe-Institut. The app combines listening, reading and writing and helps you practice basic vocabulary. Every chapter provides you with several different ways to practice the content. You listen to a dialogue and fill in words in cloze exercises. You practice vocabulary in crossword puzzles, by matching text and picture, or by having to find words in a grid. In some instances, you have to re-order parts of sentences or dialogues. Every chapter provides about 20 different exercises - each one short enough so that you are able to practice on your commute or during a break. 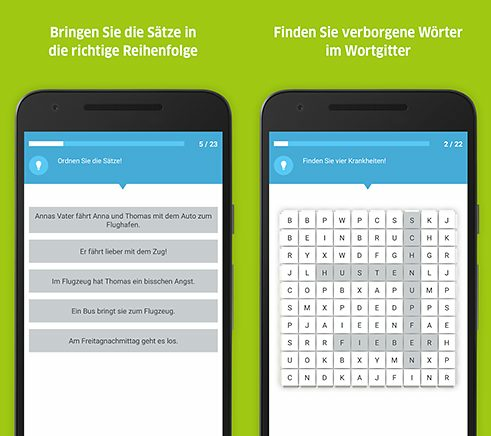 Download the free Deutschtrainer A1 app now.